Poor posture is a significant cause of back pain, one of the most common ailments in the world. To alleviate correct posture, I was asked to try the BackJoy Posture Support, available from Amazon.com. 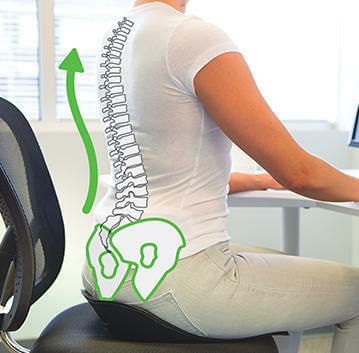 This product claims to offer lumbar support and pain relief in the lower back, as well correct your posture anywhere you sit. The chair is said to be suitable for use in almost any environment, including the office, at home and in the car. BackJoy is an American company, which uses the tagline ‘Relieve, Align, Improve’ to promote and sell a host of products that are designed to correct and improve posture, and subsequently eliminate discomfort. The founders’ state there is one simple aim to their mission: to produce a world that is free from back pain. The products are designed with modern life in mind. We all want to ‘go with the flow’ when it comes to living our lives, but back pain can put a kink in the works. If you’re in pain, you’re going to struggle to get through a day, regardless of what you are doing. If you’re pain-free, you have the freedom to enjoy life to the fullest. Based in Boulder, Colorado, BackJoy employs a team of 20 people. The company was established to find solutions to back pain, a problem that is common but often overlooked. 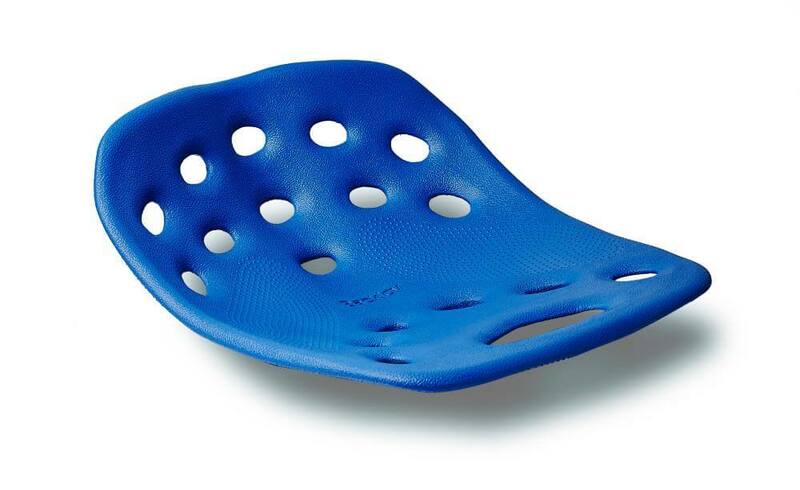 BackJoy offers a host of products designed to improve your posture and make you feel comfortable. The product range boasts cushions, seats, pillows, bands, massage tools, kneelers and seats for the bath. Users can access advice and information via a video program. The seats come in a range of colors, and there are mini versions available for children. 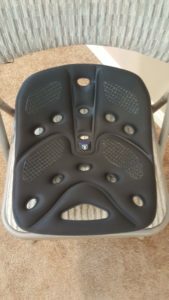 I was intrigued to try a posture seat, which is outside of my normal reviews of posture braces. This review focuses on the SitSmart range, which includes the SitSmart Traction and the SitSmart Posture Plus models. Other products sold by BackJoy include the SitzRight seat cushion, the ComfortSeat cushion, and the SleepSound Comfort Pillow. As somebody who has struggled with back pain at times, I was looking forward to trying the BackJoy posture correcting cushion to see how it compares to other options, including the BetterBack, which is my go-to brace for sitting at a desk. I spend long periods of time sitting in front of a computer screen each day and I often climb out of the chair at the end of the day feeling stiff. I was hoping that the BackJoy products would be comparable to the BetterBack support, which makes me feel good, productive, and pain-free. After doing some research on the different products and reading some descriptions and reviews on Amazon, I selected the SitSmart Traction cushion, which is around $7 more expensive than the SitSmart Posture Plus version. In the description, I was promised a seat that would correct my posture, and also include traction so there would be no slippage while sitting on it. After reading the product description, I was excited about the potential results, and as soon as my BackJoy cushion arrived, I set about putting it to the test. The first thing I did when the cushion arrived was to test out the seat on a soft chair. The Backjoy is not really a cushion I realized, but more of a seat addition, it is firm and inflexible. Although it was fairly comfortable, it didn’t appear to change my posture in any way, and I wondered if it was geared towards certain types of chair, namely those that you would use for work purposes. My next test was the office chair, where I spend long periods of time. My office chair has inbuilt lumbar support, and I find it quite comfortable. I was hoping that adding the cushion would help to straighten my spine, but I found that the BackJoy had little impact. I tried the seat on a range of chairs and had the same experience. Basically, the BackJoy Sit Smart was too small for me, and it simply felt like I was sitting on a cushion on top of a chair. I was able to move freely when I was sitting, and this caused me to question how much support it really offers. I didn’t feel like it made a noticeable difference to my posture, but I do wonder if this product would be better suited to lighter, more petite people. The manufacturers claim that the product is suitable for people up to 300lbs, but I believe it would be most effective for those who weigh much less and have a small frame. It may be more useful when used with a chair that doesn’t have a high back. Although I didn’t feel like the SitSmart corrected my posture, I was impressed with the quality of the product. It was sturdy, and the waterproof cover enabled me to use it in different environments. I also think that this could be a good buy for those who drive long distances, as the cushion is very thin, which means you get support without altering your driving position significantly. It’s portable and easy to use, I just wish it was more effective when it came to delivering on its promises to improve posture. To sum things up, I would say that there’s very little chance of me ditching my old favorite, the BetterBack and using the BackJoy. The design is fine, and it’s easy to use and carry around, but it just didn’t fulfill my expectations. I found that I was sitting in the same way as usual without additional support and I didn’t notice a positive difference in my posture or how comfortable I felt while I was working. Other users may find the BackJoy revolutionary, but unfortunately, I’m not sold on it.